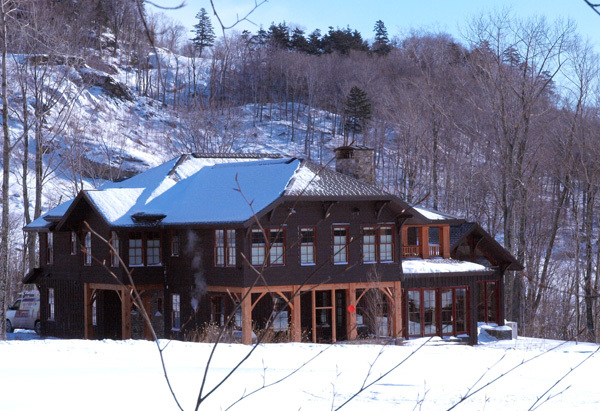 Ultimate luxury on Spruce Peak. 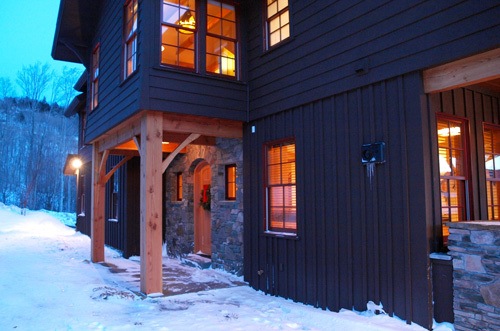 A new mountain home with all the amenities. 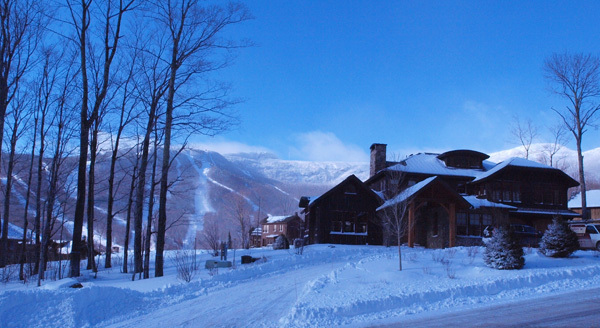 Ski-in Ski-out! 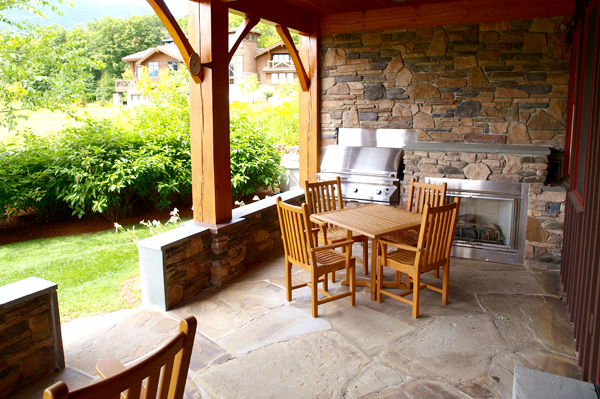 Right out the back door! 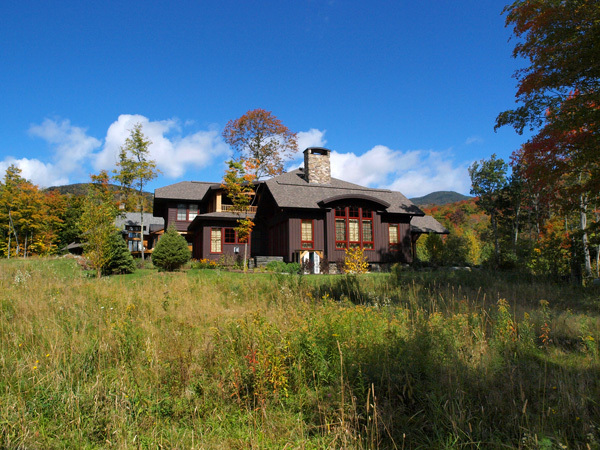 Setting: Spruce Phoenix is located between the top of the Inspiration ski lift and the Stowe Mountain Golf course. 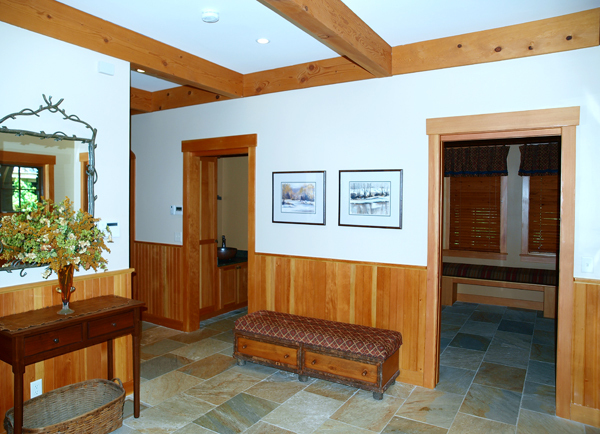 Layout of Spruce Phoenix - Spruce Phoenix is laid out on three levels. 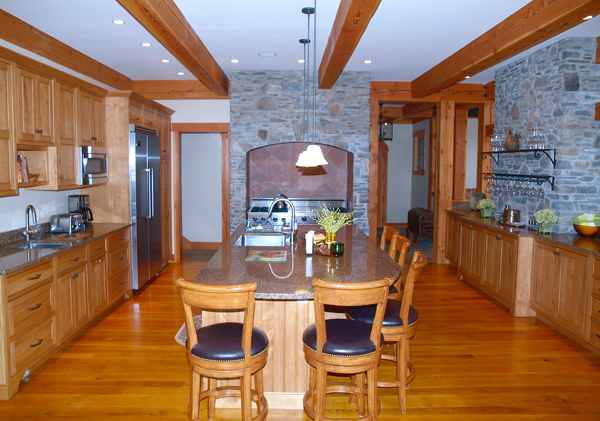 Main Level : (middle floor) - three entrances into the main living areas including dining, living and kitchen. 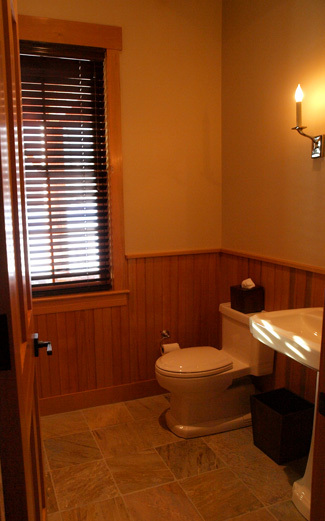 Also a study and two bathrooms. 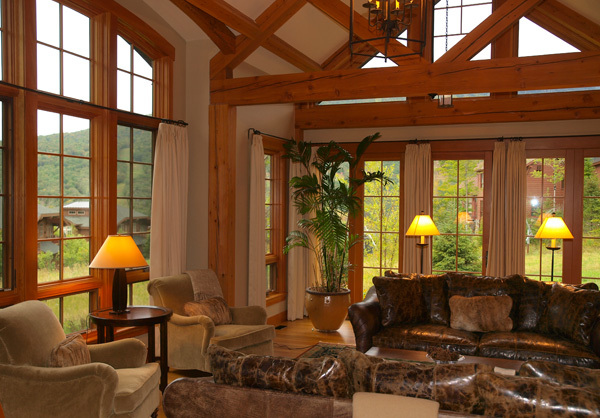 Upper level: upstairs are five bedrooms a master suite, an in-law suite and three other bedrooms each with great mountain views. 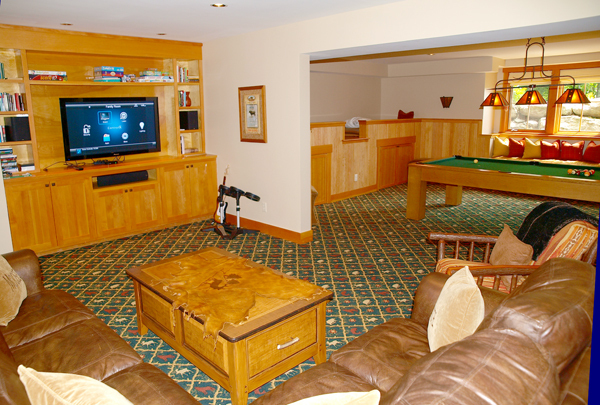 Lower Level: is the TV / sitting room, overflow bunk area and a game room. 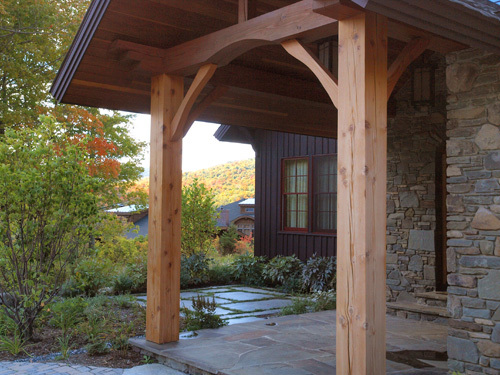 Front formal entrance - from a circular drive way to a covered walkway. 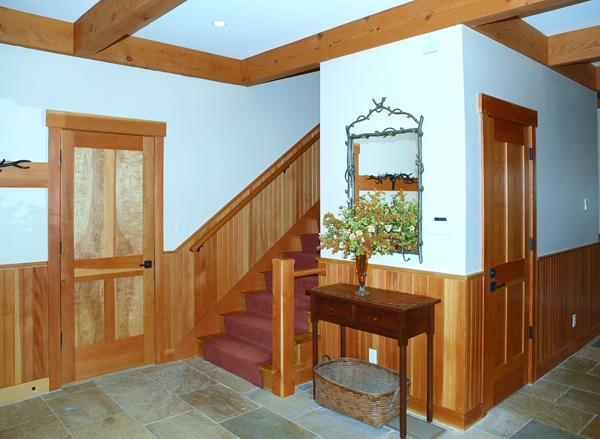 Side Entrance - into a large entrance with heated stone floors, stairs to upstairs, plus access to the 2-car garage. 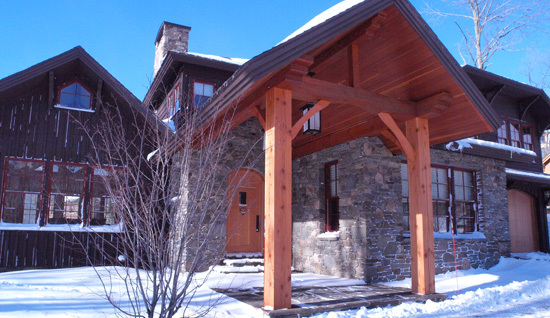 Ski-in, ski-out entrance - through a covered stone porch with outdoors gas fireplace and a large Twin Eagles gas grill. 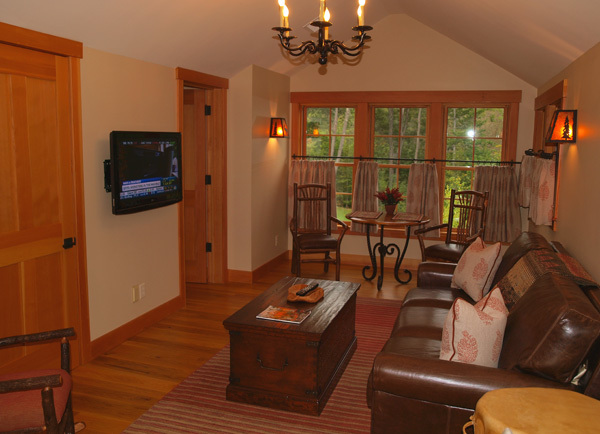 Excellent mud room with heated stone floors, a sink and lots of pegs and cubbies. 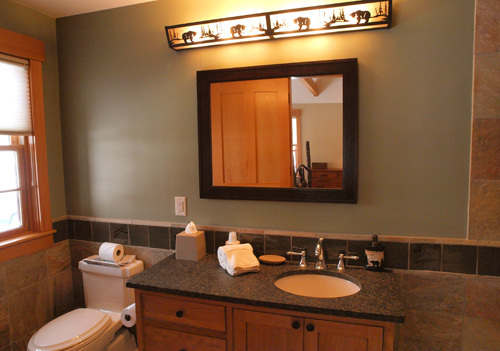 Bathroom (main floor powder room) - tile floors and ski trail views. 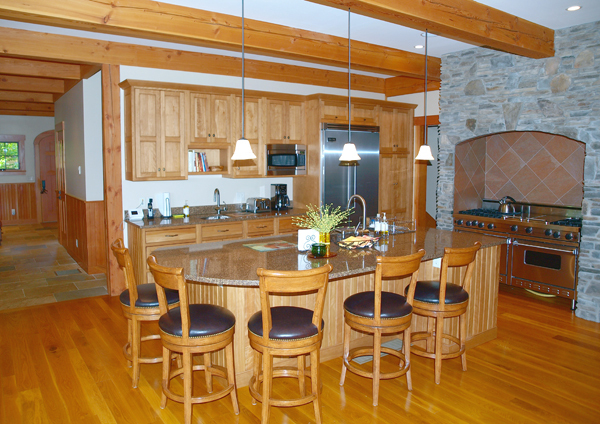 Kitchen (main floor) - polished granite counters, granite breakfast bar island with seating for five, deep sink, Viking Professional dishwasher, 2nd large sink, Viking Professional double door fridge & freezer, Viking Professional 6-burner cooker with two large griddles and double convection ovens, GE Profile microwave, Cuisinart toaster & coffee machine and a separate pantry area. 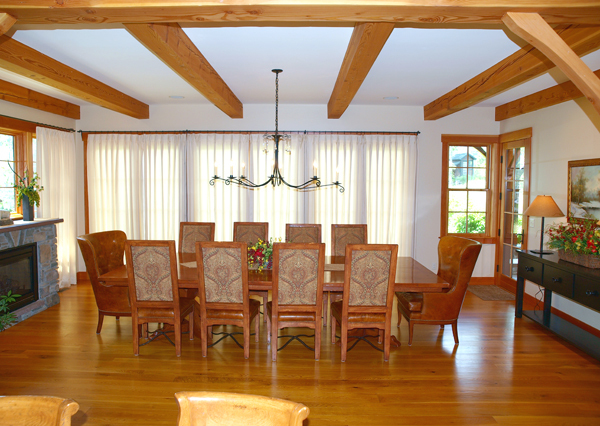 Dining area (main floor) - formal seating for 10, big mountain views, gas fireplace, French doors to the backyard (ski slope) and side door to covered stone porch. 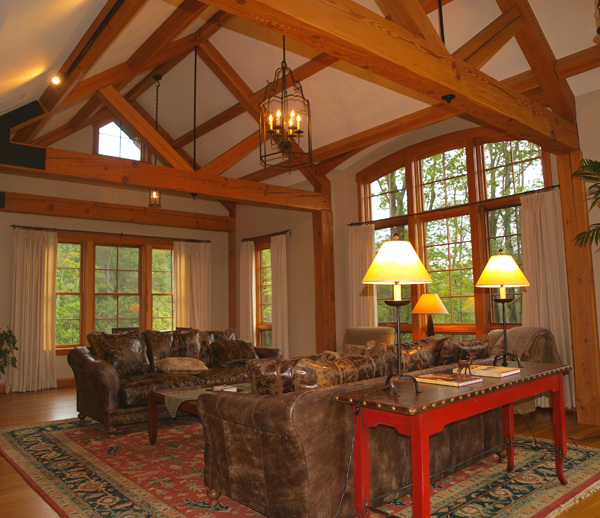 Living room (main floor) - high post and beam ceilings with windows on three sides, stone fireplace (gas), comfy seating for 8 plus game table for two and good mountain views. TV / Game Room (downstairs) - large, comfortable leather sectional for 6+, wide screen Pioneer HDTV with built -in surround sound. 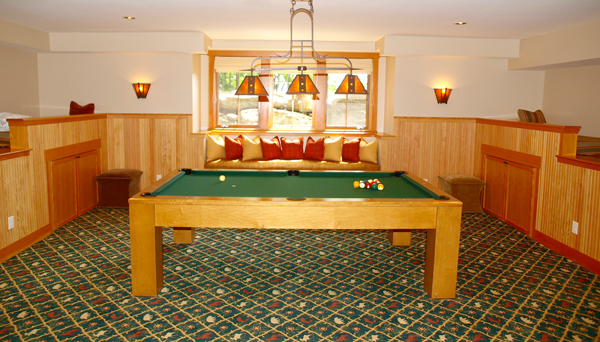 Good size pool table with four, single, chest high sleeping areas . 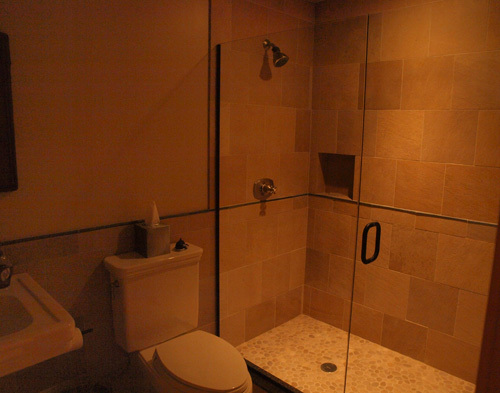 TV - Game room bathroom (3/4) with large walk-in glass shower and river pebble shower floor. 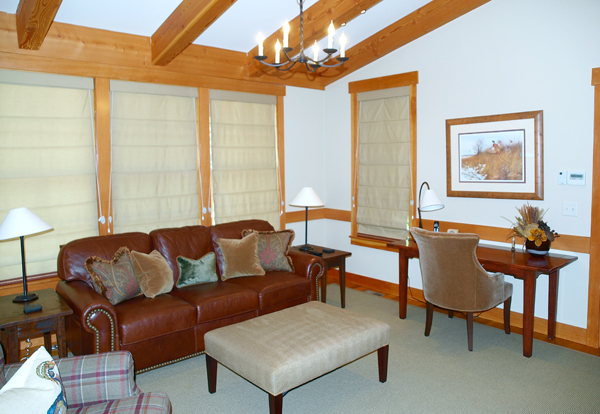 Study (main floor) - convenient and quiet study room with leather pull out sleeper sofa (K) and a wide screen HDTV, a 3/4 bathroom and golf course views. 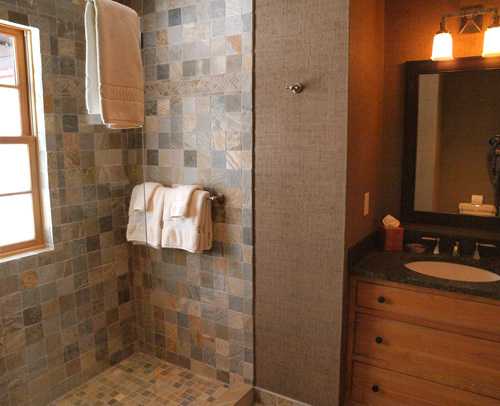 Study Bathroom 3 (3/4) - large, walk-in glass shower and polished stone counters. 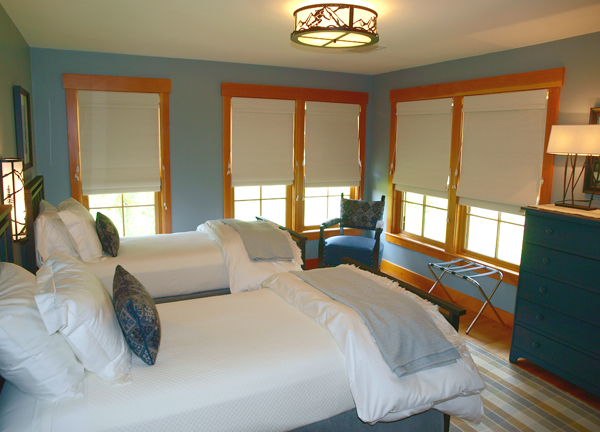 Bedrooms - Spruce Phoenix sleeps 12 in beds. 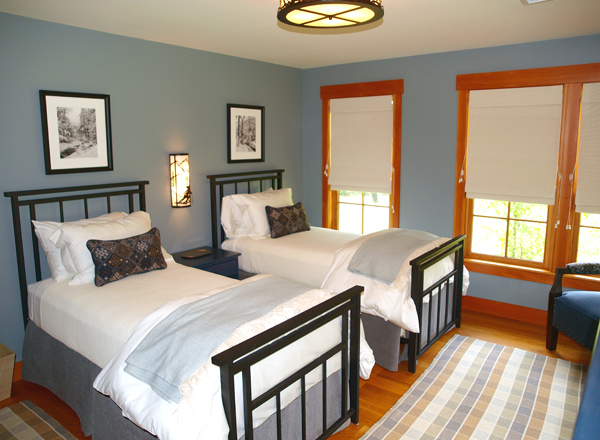 There are five bedrooms with an overflow sleeping area downstairs with four single beds. 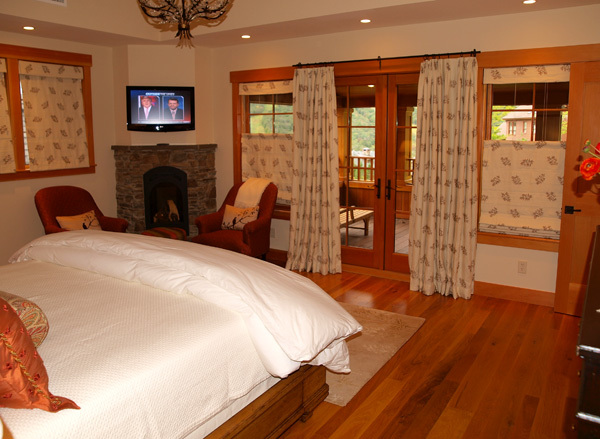 Bedroom1 Master (King, upstairs); heated wood floors, French doors to a large, covered deck with excellent mountain views, gas fireplace, high ceilings, a wide screen HDTV and comfortable seating for 2. 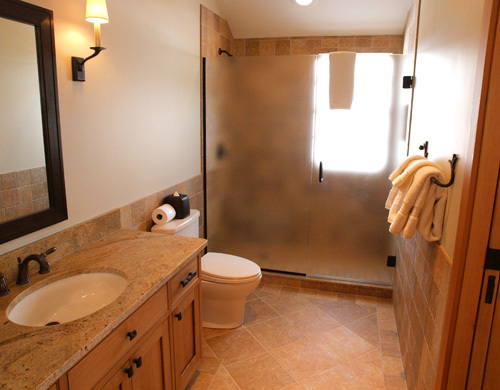 --> Bathroom Master (full en suite, upstairs); corner room with good, yet private light, gas fireplace, large walk-in glass shower, double Toto air bubble soaking tub, polished stone counters, heated tumble marble floors throughout, separate makeup station and area with bidet & toilet. 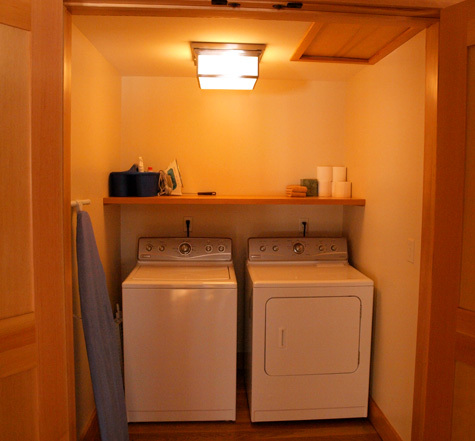 Also a separate walking closet. 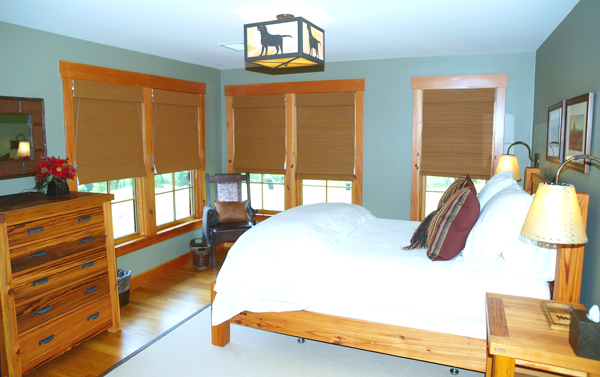 Bedroom 2 (Queen, upstairs); windows on two sides, great mountain views. 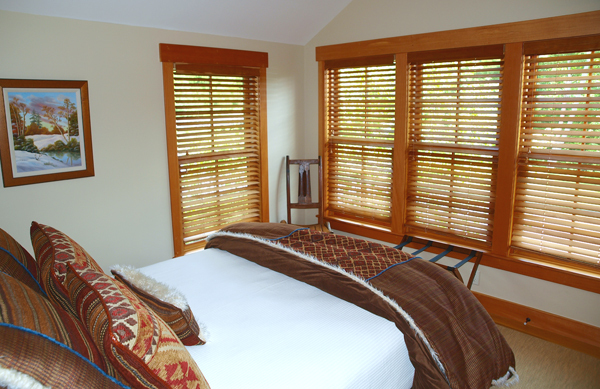 Bedroom 3 (2 singles, upstairs); another corner room with beautiful mountain views and windows on two sides. 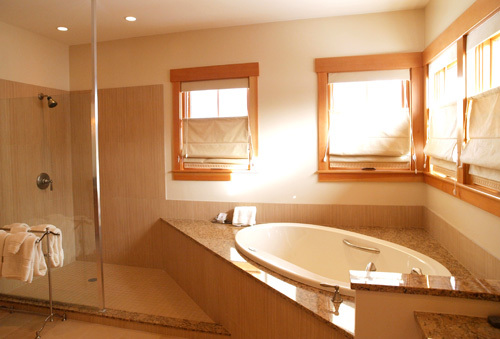 Bathroom - (3/4, upstairs) - for bedrooms 2 & 3, heated stone floors with large walk-in glass shower. 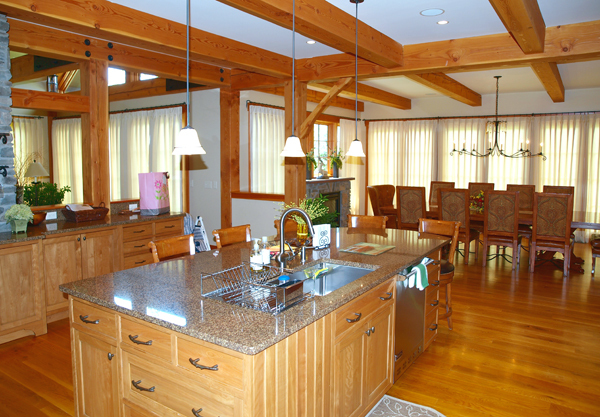 Dark polished stone counter. 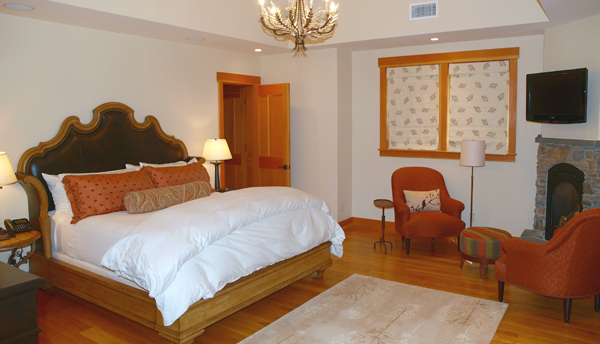 Bedroom 4 - (Queen, upstairs) - en suite with private bathroom, high ceilings and windows on three sides. 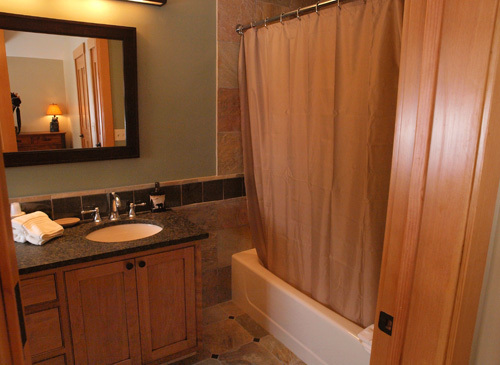 --> Bathroom - (full, upstairs), polished granite counter and heated stone floors. 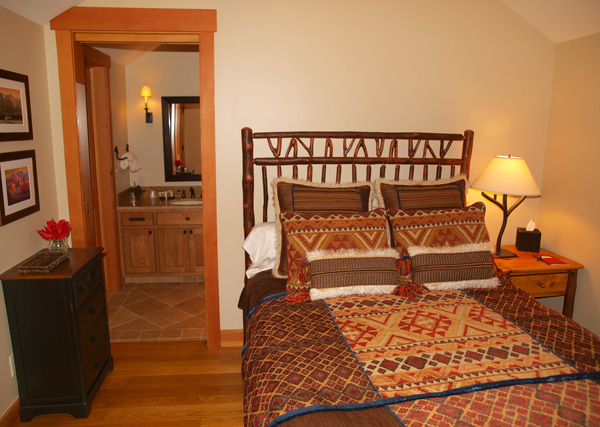 Bedroom 5 - (Queen, upstairs) - guest / in-law apartment suite with sink are and a fridge, a sitting area for 4 with pullout leather Queen sleeper sofa, a private bathroom and a wide screen LG HDTV. 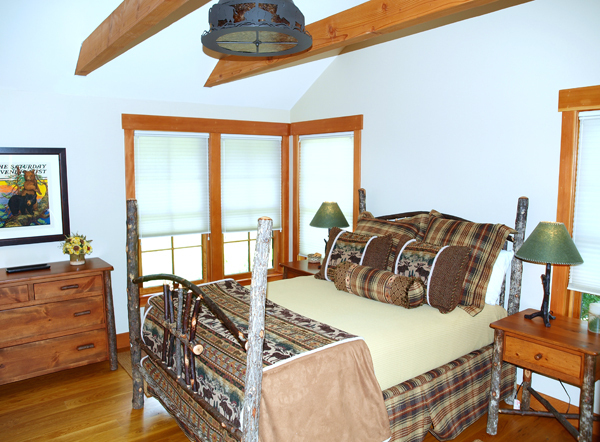 A cozy bedroom with golf course and mountain scenery views. 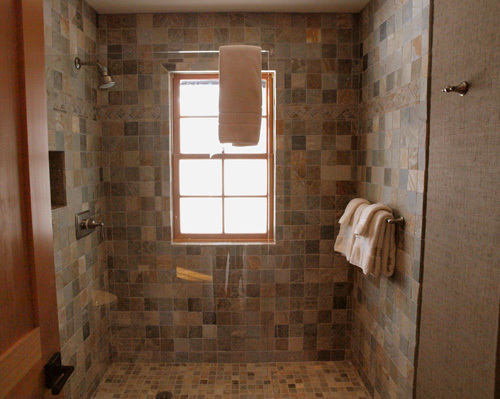 --> Bathroom - (3/4, upstairs) glass, walk-in shower and heated stone floors. 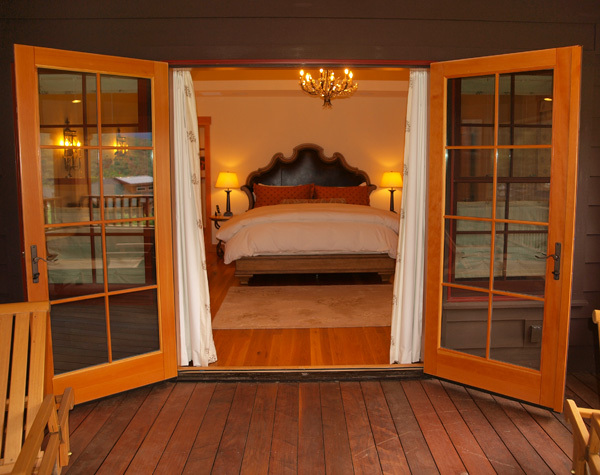 Master bedroom deck - large deck just off the ski slope with great views. 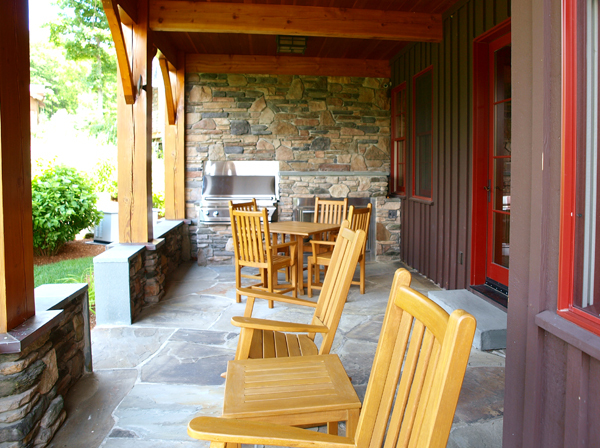 Covered porch - a large area, view side with BBQ and gas fireplace. 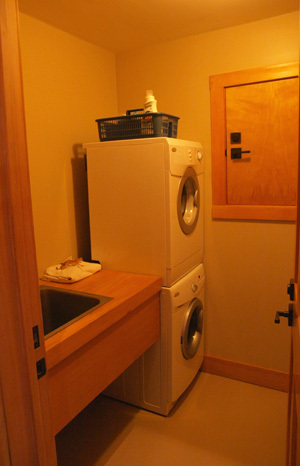 2 Laundry areas - downstairs laundry with sink and stack able Whirlpool washer & dryer. 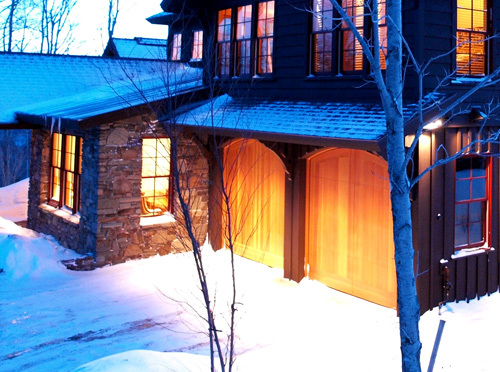 Full luxury on the mountain, with walk-out access to the Spruce Peak ski trails and the Stowe Mountain Golf Course. 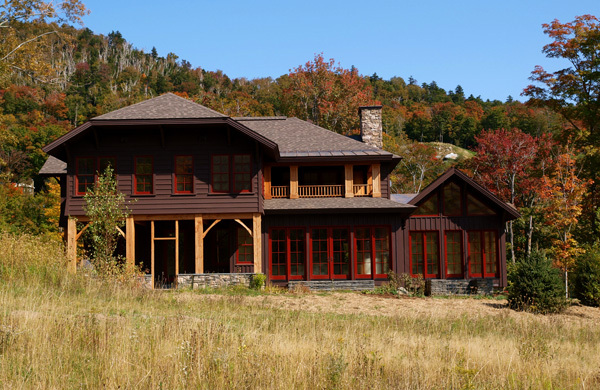 New house with all the modern climate and entertainment technologies. 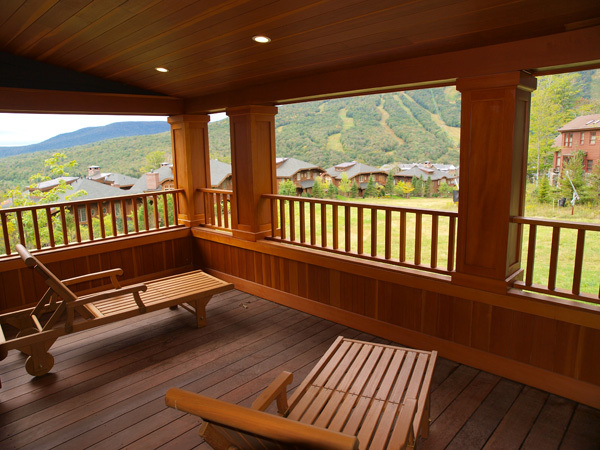 Full access (sledding distance away) to the Stowe Mountain Lodge Spa and fitness facilities.